Humans aren’t built to drink salt water. Ask any sailor shipwrecked on a desert island—except you can’t, because they’re dead, because humans shouldn’t drink salt water. But this obvious biological fact has escaped some health bloggers, who have recently been advocating for the “detox benefits” of a fad called sole-ing, or drinking salt water to flush out “impurities.” Actual health experts and nutritionists say that—like the “pure water” and “raw water” trends—this is total crap. Blogger Wellness Mama is one of the trend’s most vocal advocates, gushing that her Himalayan pink sea salt and water concoction “helps the body rehydrate” and “helps promote weight loss” by “nourishing the body on a cellular level.” Nutritionists contacted by The Independent say, in a nutshell: Nope. Lambert says consuming salt water could lead to higher blood pressure, and that any perceived benefits from sole-ing are due to the water itself, not the salt-water combo. Another nutritionist, Frida Harju-Westman, tells the paper that while salt does have some positive benefits when consumed in moderation, drinking too much salt water puts a person at risk for dehydration. 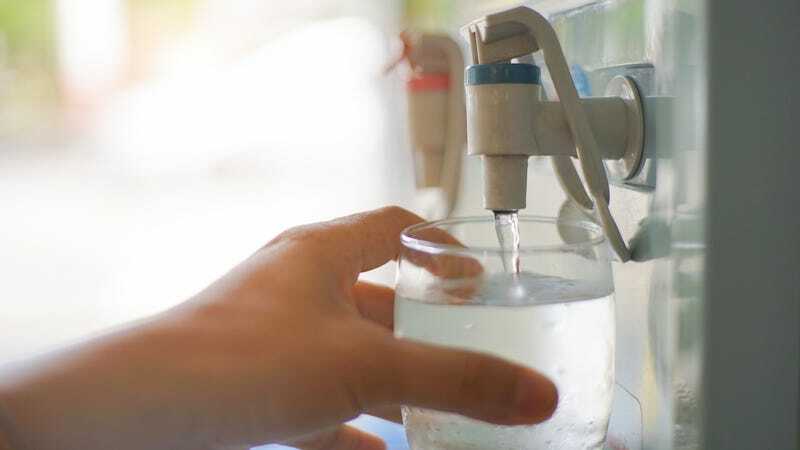 The National Oceanic And Atmospheric Association says, in no uncertain terms, that drinking seawater can be deadly, though presumably homemade “sole water” is less salty. Want to drink something actually healthy? Here, make a green smoothie. What if Subway threw a Twitter poll and nobody responded? What booze tastes best in a Wendy&apos;s Frosty?